Hotel Devlok Primal is a 2 star budget hotel in Mussoorie providing a value for money stay in Queen of Hills, Mussoorie. A beautiful property of Hotel Hill Queen Mussoorie, this hotel provides elegant rooms with all modern amenities such as LCD TV, intercom, free WiFi etc. 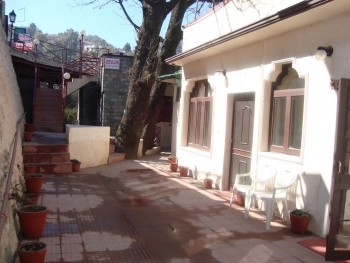 Located conveniently at Charleville Road near Gandhi Chowk, on the way to Company Bagh or Kempty Fall, the hotel have easy accessibility to famous tourist destinations in Mussoorie. With its war hospitality and wide range of facilities, the hotel is definitely a value for money for budget travellers. 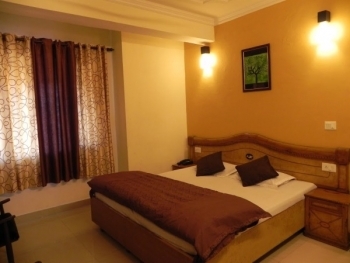 Hotel Devlok Primal is conveniently situated on Charleville Road, near the Gandhi Chowk. Library bus stand and The Mall is at 3 minutes walking distance from the hotel. Nearest railway station is at 32 kms in Dehradun and the Jolly Grant Airport is at 55 kms away from Devlok Primal. Hotel Devlok Primal provides 15 rooms decorated tastefully and equipped with all modern amenities such as 24 hr hot/cold water, private bathroom, LCD TV, power backup, telephone etc. The hotel offers three types of rooms - Standard, Deluxe and Family rooms. Some rooms also provides scenic views of snow clad mountains. The hotel serves delicious North Indian & Chinese food at room service. Enjoy the food at homely environment of the rooms.